BY GOVE: BACK TO THE FUTURE: EDUCATION CIRCA 1962! The need for evidence-based policy has become a key mantra for neo-liberal regimes across the global north. Yet the majority of governments seem to be very selective about what evidence they look at and often ignore research altogether, even the research that they have commissioned or the publically funded research conducted in universities. As many have argued, despite the public and commissioned research, what we often have nowadays is ‘policy-based evidence’ that is based on partial and largely quantitative studies: counting rather than understanding the relations between education, gender and other diversities. Indeed, there are covert power games being played amongst the various subjects or disciplines within education and social research: at the moment, macho metrics rule as the flowing case study reveals. The UK Coalition Government’s Secretary of State for Education, Michael Gove, has recently, in two high profile moves, provided the latest stark example of this. In so doing he has not just ignored his own commissioned education research, but flaunted his ignorance. The process by which this has happened bears detailed explication for the way education researchers are sidelined. Even more important, this time it is the chair of the Research Excellence Framework (REF) sub-panel for education (2014) Professor Andrew Pollard who has been ignored. So this raises questions about the value of education research, including gender, in the current political regime. forms of assessment by re-introducing General Certificate of Education (GCE) Ordinary (O) levels, at the end of secondary education. He seems to be even bolder than many of his Conservative colleagues in the Cabinet (and perhaps is making a bid for even more senior office should the Leveson inquiry make mayhem amongst other politicians). Indeed, it appears that his most recent announcement about re-introducing O levels was made without Cabinet consultation, if the deputy leader of the Coalition Government, Nick Clegg, is to be believed. What is patently obvious, at first glance, is the attempt to go back 50 years and further entrench social class distinctions, rather than enhance policies for equality of educational opportunity, whether through class, culture, social disadvantage, ethnicity, family, gender or race. Although Gove is said to be a historian, his knowledge of English educational history seems decidedly sketchy – perhaps because he is a Scotsman. In his proposals for both the primary school curriculum and moves to revive a binary stratification through GCE O levels and the older forms of CSE he exhibits both a simple and old-fashioned view of how children should be brought up. Here he has developed a new term as a code for elite educational systems, namely ‘high-performing jurisdictions’ as opposed to what are regular school systems in different localities/countries of the ‘global north’. More to the point, these approaches are completely gender-blind, or rather based upon strictly traditional views of gender roles in the family and the wider society where boys will be boys! Whilst it is clearly the case that the educational and curricular developments in the 21st century have neither been very progressive nor radical, they have been in the direction of opening up some opportunities for social change and mobility. Diversity and equality were the hallmarks of the complex provisions made by various New Labour Secretaries of State for Education. Most recently, the last Labour Government enacted the 2010 Equality Act that enshrined a single public sector equality duty (PSED) including for gender as well as class and ethnicity. The PSED applies to all maintained and independent schools, including academies, and maintained and non-maintained special schools. Under this Coalition Government and its commitment to an age of austerity, there is no longer any semblance of a commitment to equality duties, despite the legislation. With Gove leading the way, traditional masculinities and Conservative or ‘Victorian virtues’ seem to be on the ascendance, without any lip-service even being paid to the questions of what has changed and what evidence there is about the impacts and effects of the changes. And this is not just about research on gender and education but also education and social science research. It is therefore worth rehearsing the background for GEA readers. When the Coalition Government came into power in 2010 Michael Gove set up a National Curriculum review and an Expert Panel to provide research evidence especially about assessment. 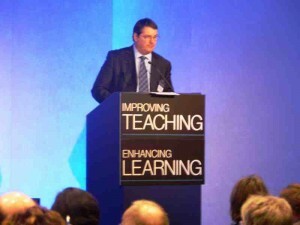 (Details of this can be found on both the DfE and BERA websites). The panel appointed was made up of former colleagues of mine from across the Economic and Social Research Council (ESRC)’s Teaching and Learning Research Programme (TLRP). It was chaired by Tim Oates of Cambridge Assessment (a statistician), who was on the TLRP’s Advisory Committee, and included the TLRP former director Professor Andrew Pollard (an expert in primary education), TLRP’s former deputy director Professor Mary James (an expert in educational assessment and gender) and the former Deputy Director of the Institute of Education, University of London, Professor Dylan Wiliam (an expert in educational assessment). 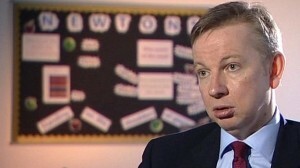 When Michael Gove announced the draft programmes of study for primary English, maths and science on June 11th 2012 proposing for example that children learn to recite poetry and their times tables from the age of five, a dramatic back-story was revealed. 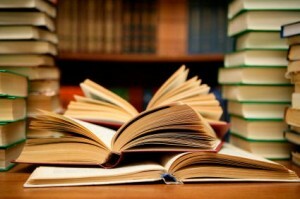 The Department for Education claimed on its website that the publication of the draft Programmes of Study for English, maths and science followed a report by the Expert Panel, which made recommendations on the framework for a new National Curriculum, and a parallel report by the Department for Education which identified the key features of curricula for maths, science and English [in high-performing jurisdictions]. It now seems that this expert panel was appointed more for legitimacy than for the details of the research base and of course gender was not even in the frame! The normally emollient and liberal-minded Andrew Pollard was moved to write a blog revealing how these programmes were not based upon the work of the review panel and its research evidence, which included previous reviews of primary education (eg The Cambridge Review of Education 2010). Indeed, he further argued that the recommendations in the draft programmes were ‘fatally flawed’, and it was this comment that was seized upon by much of the media, in reporting Andrew Pollard’s views. In his blog, Pollard mentioned that Nick Gibb, the Schools Minister, and Gove’s righthand man, used an American writer and psychologist, Ed Hirsch, to justify his views, rather than the research of, inter alia, TLRP. Hirsch’s programmatic ideas specify year-on-year details and are culturally specific rather than catering for cultural and social diversity. Pollard also argues, basing this on the detailed research evidence from TLRP etc, that the needs of learners need to be taken into account, rather than traditional prescriptive approaches to the curriculum, and whilst this does not specifically focus on gender, taking these needs in the round would consider these questions. “For clarity it is important to distinguish the work of the Expert Panel from the work of the DFE in developing of Programmes of Study. Briefly, the Expert Panel’s Report, which was published in December 2011, provided advice on the framework for the National Curriculum. The Expert Panel as a whole was not involved in the development of the specific draft Programmes of Study and was not asked to endorse them. As President of an Association with an interest in the application of research and use of evidence for the improvement of education and the public benefit, Mary James was pleased to work with policy makers on the review of the National Curriculum in England. Inevitably there were some tensions, and it seems appropriate, in a democracy, to place on the public record some of the debates that characterised the work. What is revealed by this exchange and subsequent correspondence is the cavalier attitude to the uses of social science research. So perhaps it is hardly surprising that gender and education research did not even get a look-in, even at the early stage of specifying the panel members, although Mary James has conducted some very fine pieces of research on gender and education. She is also now determined to make clear how gender issues were sidelined in this very overt political process. Perhaps more importantly, it is also worth noting from the letter that Michael Gove wrote to the Expert Panel members just before the June announcement how his political values were revealed. He re-iterated his view that it was important to be ambitious about standards and he wanted British schools to ape the work of the best or most highly achieving schools in what he chooses to call euphemistically ‘high performing jurisdictions’. His letter is therefore peppered with these kinds of phrases. In the draft Programmes of Study [applying to England only] for English, maths and science (which can be downloaded from the DfE website) these 3 subject or topic areas have taken precedence over all the other primary school topics over which there will be fewer regulations. Curiously the regulations for computing and information technology are to be made rule-light rather than detailed. Perhaps these are unnecessary for pupils aiming for the most elite schools and universities? Similarly the proposal to re-introduce O levels after their amalgamation into General Certificate of Secondary Education (GCSE) over 20 years ago reveals a complete lack of understanding of the raft of education policy changes over this time. In the ensuing 20 years a sophisticated range of qualifications to meet the range of needs of learners have been developed, often commensurate with the changing needs of the economy and the changing relevance of education to economic development. Whilst we, as education researchers may be critical of some aspects of, for example, the B. Tech and apprenticeships, there has been an attempt to modify, if not completely eliminate, the clear forms of social stratification linked to gender and education. What Michael Gove seems bent on doing, at a stroke, is reversing all these developments and transformations, to ensure that the elite remain as the politically dominant class through their education routes to the top. And that, of course, means ignoring all the evidence and transformations around gender: re-inscribing and re-entrenching a bullish political culture. And this is also based upon the traditional university disciplines that revere science over the arts and humanities. For a historian to argue only for a metric approach to educational excellence seems, to say the least, curious but it appears that this will re-inscribe quantitative and economic research at the expense of UK research traditions which requires both quantitative and qualitative approaches. Macho Gove goes for metrics and this is what we in the GEA need to counter and to continue to argue for gender-sensitive educational research for setting appropriate educational standards for all learners in the 21st century.